The next time you want to vacation in Anaheim, California book your package with United Vacations, which offers flights with United Airlines®. Home to DISNEYLAND® Resort and the Angels baseball team, Anaheim, located in sunny Orange County, California, has a winning combination. 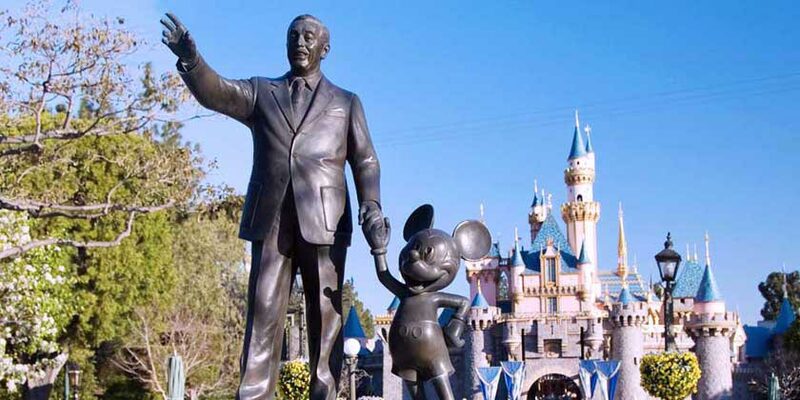 In addition to these great attractions, Anaheim boasts a welcoming downtown and colonial district with plenty of historical sites and notable corporate headquarters, bringing a steady stream of restaurants, shopping and nightlife. Don't miss the MUZEO Art Museum, fantastic golf courses, Anaheim GardenWalk, and Anaheim Ice, an astonishingly popular public skating rink. Come for the magic, stay for Anaheim's many surprises. The Southern California CityPass includes admission to Disneyland® Resort, LEGOLAND® California, and SeaWorld® San Diego. Knott's Berry Farm Theme Park is home to 9 world-class roller coasters, thrill rides, children's and family rides, as well as several water rides. Disneyland Resort Park Hopper Bonus Ticket includes admission to both Disneyland Park and Disney California Adventure Park, including visits to both theme parks on the same day. Disney Character Dining is a memorable and delicious way to spend time with your favorite Disney Characters. Resort info: The Desert Palms Hotel & Suites is directly next to Disneyland Park & Disney's California Adventure and across the street from the Convention Center. Resort info: Minutes from the entrance to Disneyland Resort, this state-of-the-art facility features well-appointed guestrooms and a welcoming resort atmosphere. Resort info: One block south of Disneyland®, this resort offers upscale accommodations, polished amenities and an expansive pool area with a tropical atmosphere. Resort info: Located nearby Disneyland® Resort, our spacious guest suites offer a seamless blend of style and function. Resort info: Enjoy outstanding facilities just one block from the Disneyland® Resort and the restaurants, nightlife, and shopping of Downtown Disney. Resort info: Only three blocks from Disneyland® and California Adventure, this attractive getaway is your home away from home in the heart of Anaheim. Resort info: When location is important, this Anaheim Hotel is just minutes from the Disneyland Parks, Downtown Disney, Anaheim Angels Stadium, Crystal Cathedral, the Honda Center, Knott's Berry Farm, and Soak City.